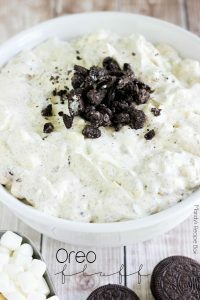 It’s Katie from Made to be a Momma here again and todays recipe is a winner! 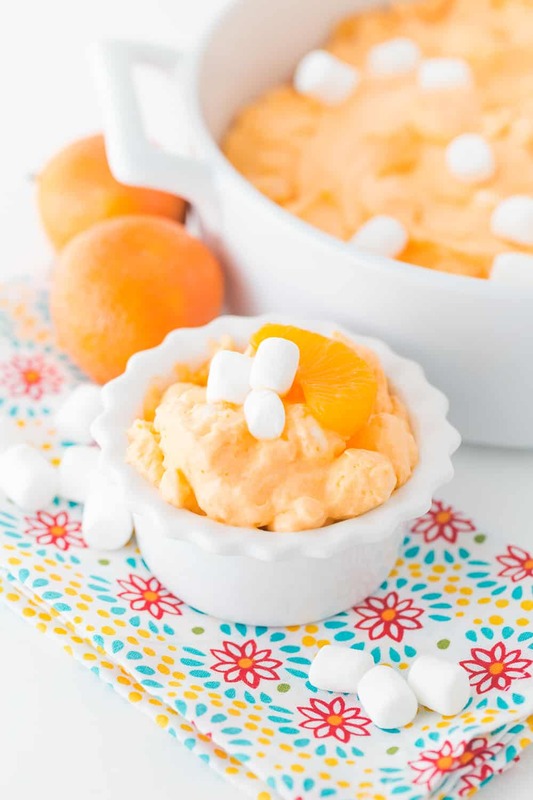 This orange jello fluff is a delicious side dish or party treat. We like to add mini marshmallows to our fluff but you can leave them out if you prefer. 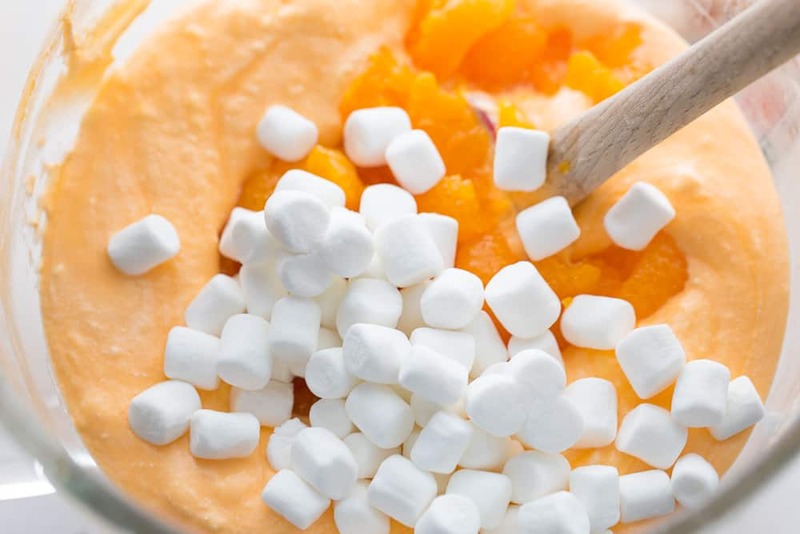 This creamsicle fluff has a few steps but it’s well worth the time put into it. You only need a few simple ingredients and you may already have the stuff on hand. I like to let this jello sit for at least one hour before serving. You can most certainly make this recipe the day before a gathering. 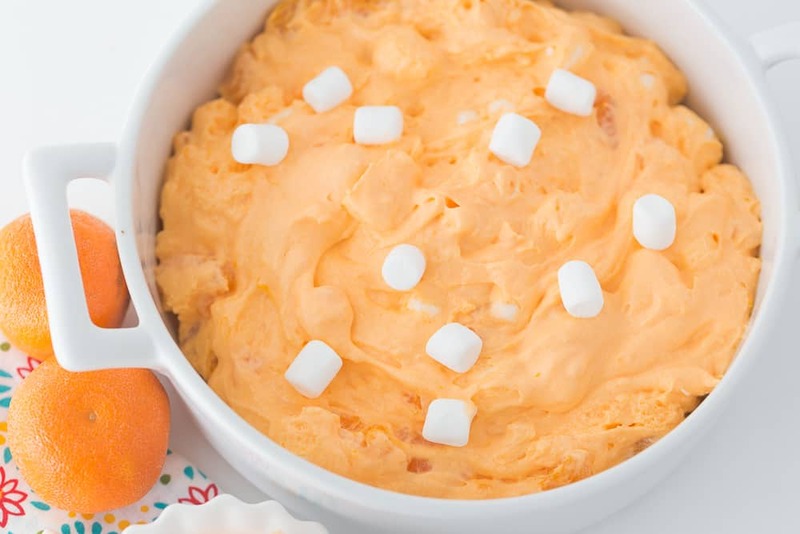 I brought this creamsicle fluff to a morning playdate and everyone loved the recipe! 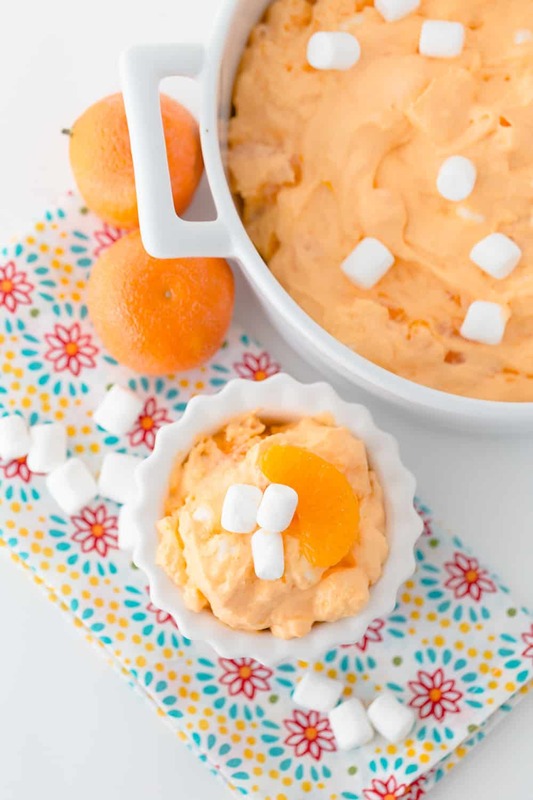 You can top individual servings in ramekins with a little mandarin orange and mini marshmallows to make a perfect Easter or Mothers Day brunch place setting. 1 Cool Whip 8 oz. In a large bowl combine orange Jell-O and boiling water. Whisk until Jell-o is dissolved. Add cold water and allow to chill for 15 minutes in refrigerator. Slowly whisk in vanilla pudding mix until smooth and chill for another 15-20 minutes or until it becomes slightly thickened. 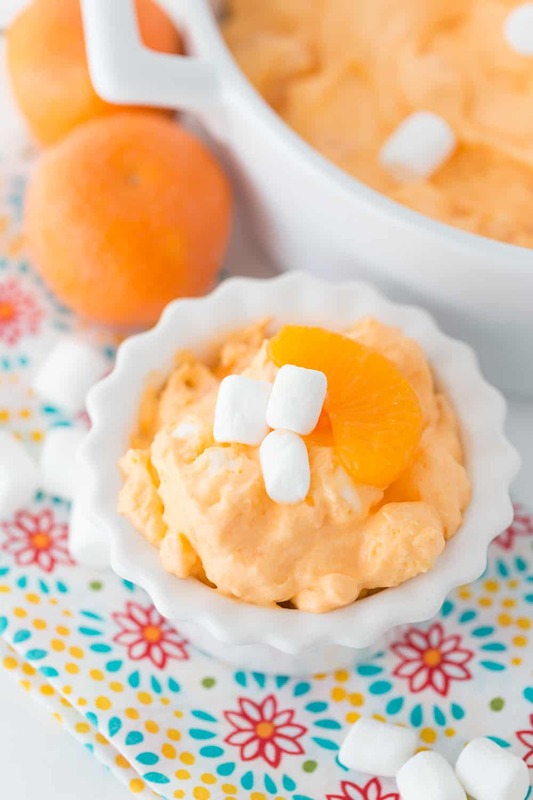 Fold in Cool Whip, mandarin oranges and marshmallows. Chill for at least 1 hour. 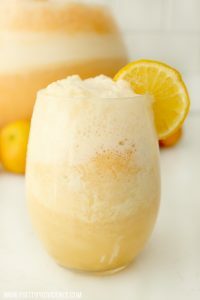 I hope you will try this recipe! It’s definitely one of our favorites! 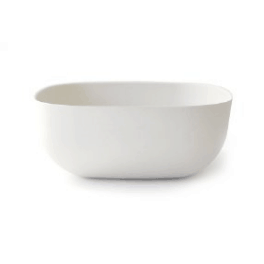 It’s a pretty big bowl, i’m guessing it would serve 10 or so people! Loved it. I used cheesecake flavor pudding instead of vanilla. Love that pudding. Gonna try pineapple next time. Thanks for the share. Ooh that’s a great idea!!! Glad you loved it! Ooh I love pineapple! Great idea! Sounds yummy! Just wondering if you can you fat free ingredients or low fat? Yum ???? loves this! I added pecan chips and crushed pineapple! So delicious! That sounds amazing! Good idea!! This is so good. I added sliced Bananas too. That took it up a notch. Thank you. Oh that sounds delicious! Definitely will try that next time! Thank you so much! 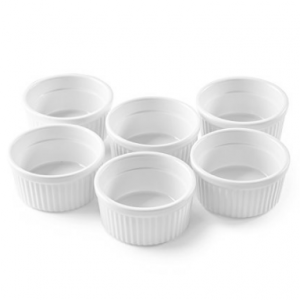 Can this be made into a jello mold, like a tupperwARE mold?Does it get firm enough? Maybe adding sime gelATIN wiuld Makeit firm to get out if mold. which size box of jello????? Small or large jello and pudding ?? I made this for sunday dinner as our dessert. It was very easy to make. Was very tasty too. My famIly loved it. I will be making this again. 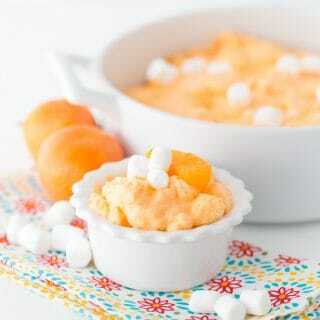 this is a great easy side dish for parties and the kids love it too! How much (for how many people) does this make? I make this for almost every family party or get together, everyone loves it! Large or small box of pudding? This was SO good! I’ll be making this again soon! 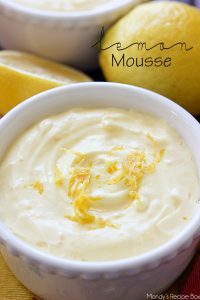 It’s very light and refreshing and using the pudding mix instead of cream cheese made this a treat hubby could eat without guilt! Thank you for sharing! Wooo hoooo!!!! So so glad you loved it!! Thank you for letting us know!! My kids are going to love this recipe! It’s a combination of all their fave snacks. <3 it! Yay!!! We are so glad! 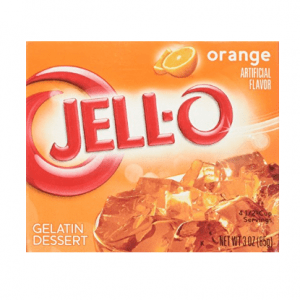 Do you small or large box of jello?